One of my passions is sharing my love for Old Hollywood and Classic Film with others. There is no denying that movies can be a magical place to visit. I do my best to share my joy of film with my own children. We even have weekly movie nights where we introduce them to movies they have never seen before. My hope is that they will grow up to appreciate this form of art and style of storytelling and share it with others. Film has a unique was of tapping into the story of our own humanity. Whether that is in watching Marilyn Monroe strut her stuff in The Seven Year Itch (1955) or watching Jack Lemmon fumble his way through Manhattan in The Out-of-Towners (1970). Films captivate us, move us, scare us, and make us think. And all the while still maintaining its magic. 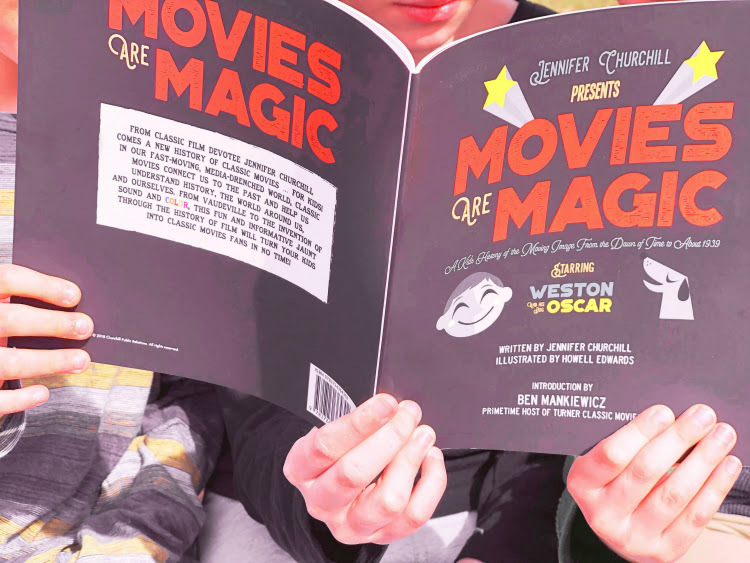 When I came across the book Movies Are Magic I knew it would be the ideal read for my children. 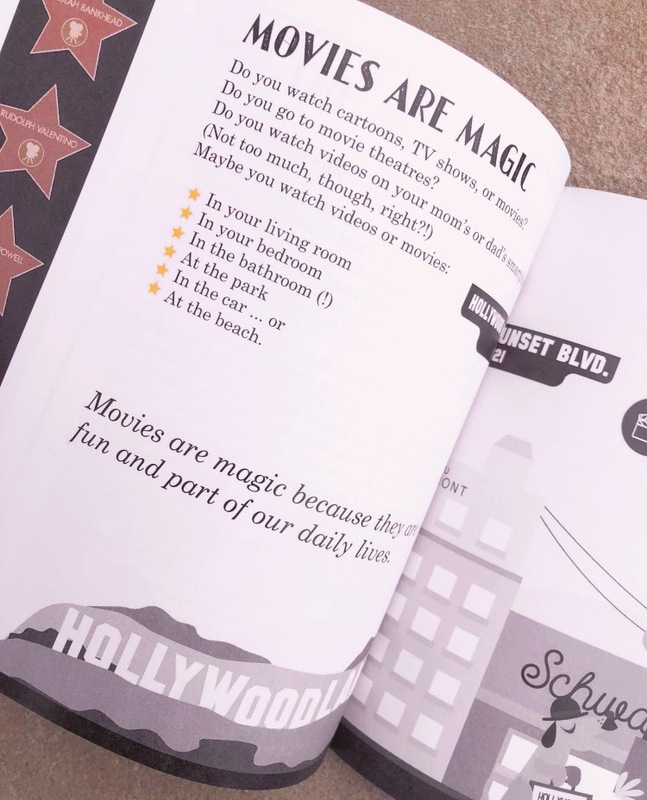 The book gives a basic introduction to the history of film making and shares some key points in Old Hollywood history as well. Every section has accompanying illustrations that are absolutely adorable. This book doesn't go into deep detail but it does give a look into the things that have made movies special. 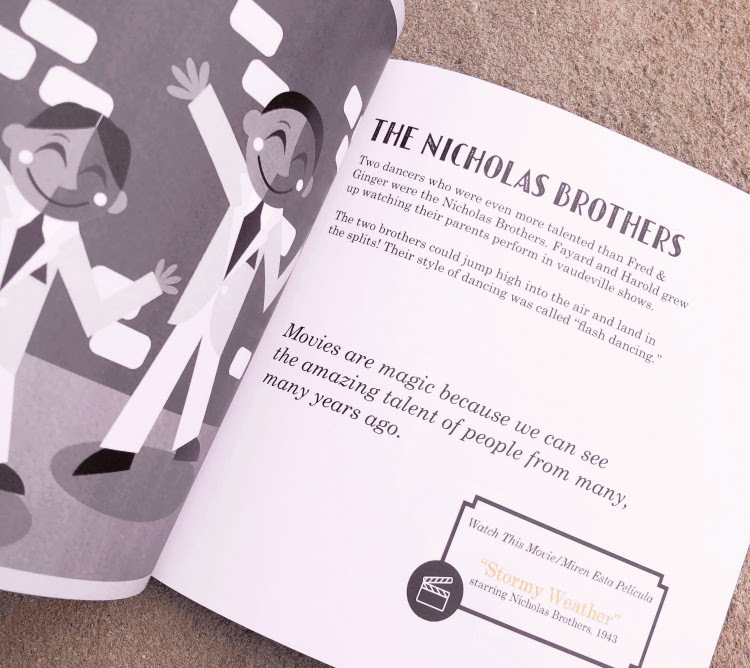 It introduces Charlie Chaplin and The Nicholas Brothers. It also touches base on how film progressed from moving pictures to color. 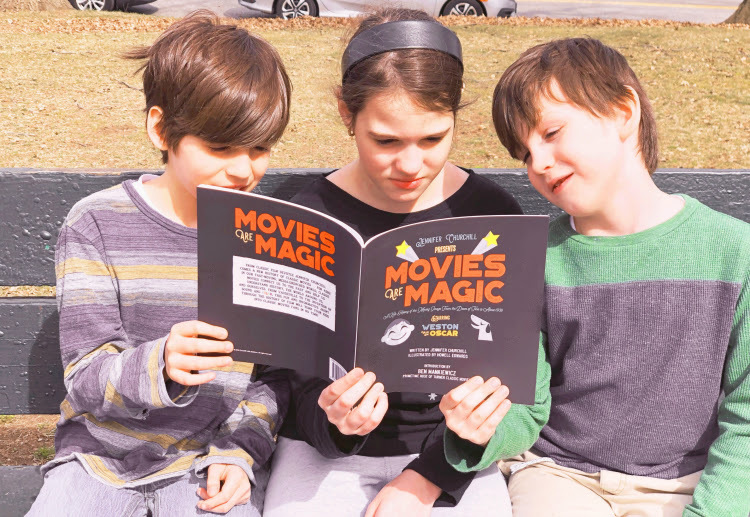 I think having access to a little book like this makes introducing classic film to children an easier process. 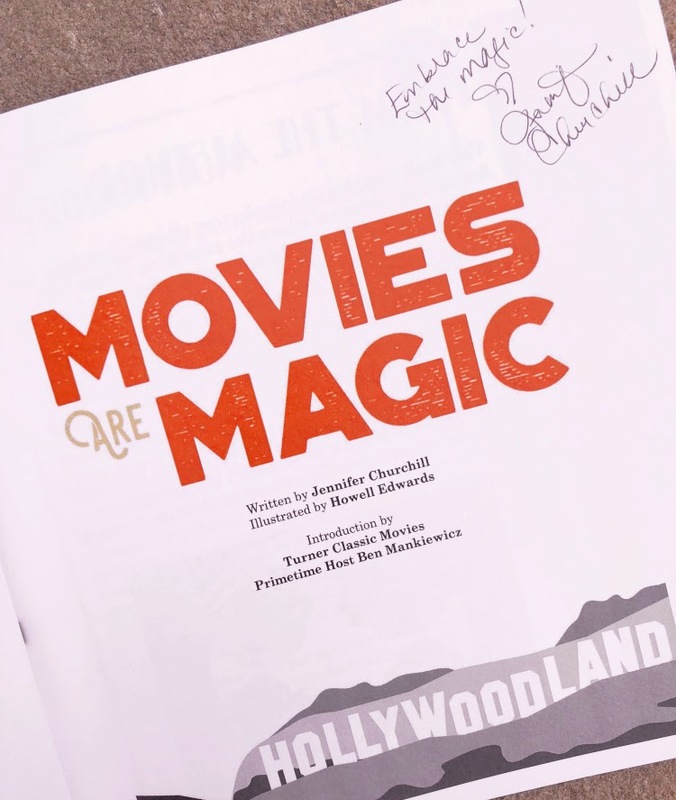 You can find a copy HERE and follow the author Jennifer Churchill HERE.